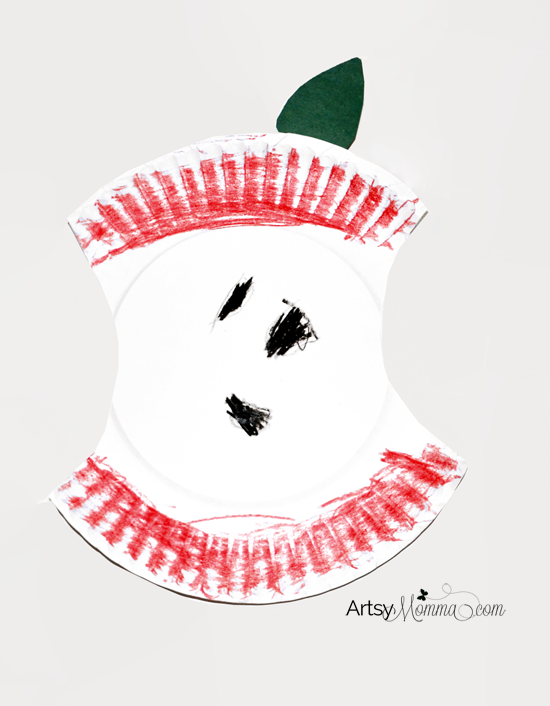 My son made this Paper Plate Apple in his preschool class during his 2nd week of school – he was so excited to tell me about it! He go to practice his scissors skills by cutting ‘bites’ on each side. I believe they were doing the number 3 as well which is why he drew 3 seeds in the center. It also was part of their learning about the color red activities. So simple, yet so cute! 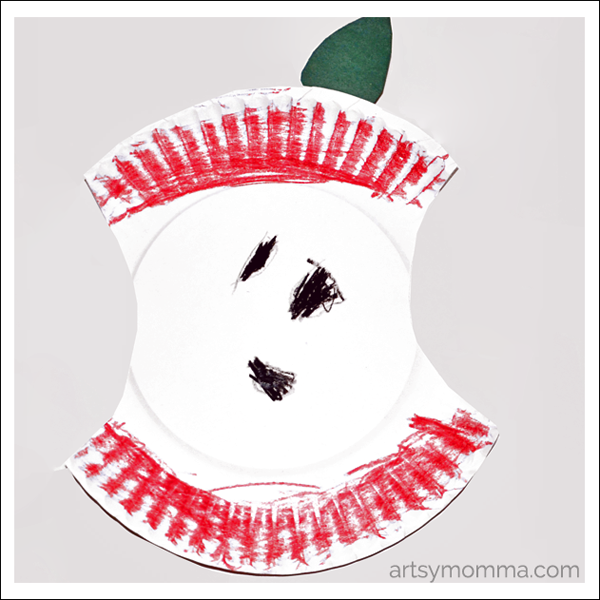 Cut the sides off a paper plate – curved to look like an eaten apple. Color the top and bottom with red crayon, marker, or paint. Draw appleseeds using black – either by coloring or adding cut black paper pieces or even black beans. Cut a leaf shape from green construction paper and glue to the top. Oooh, I have to remember this for next year. We already did our apple theme the first week of school. Thanks.